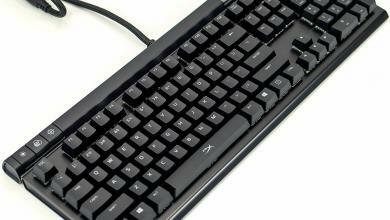 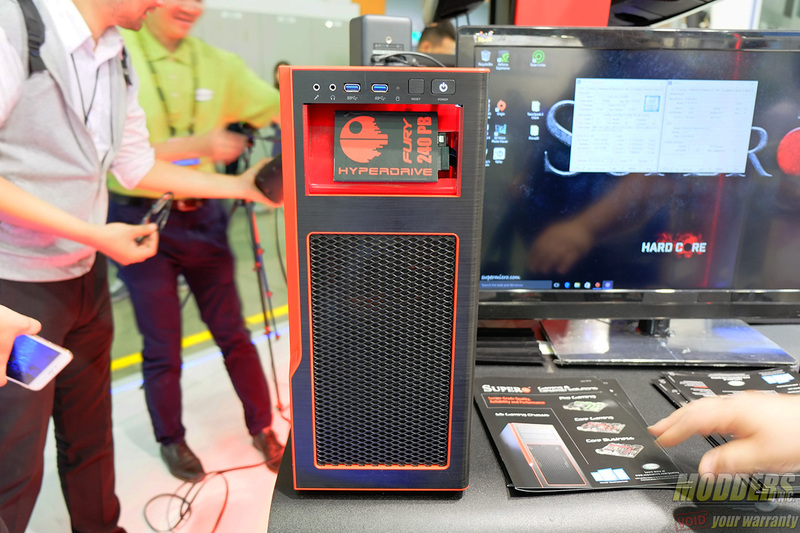 Supermicro’s main target is primarily the server market but they have been carefully integrating a gaming line accessible for regular desktop users with several motherboard options now under their belt. 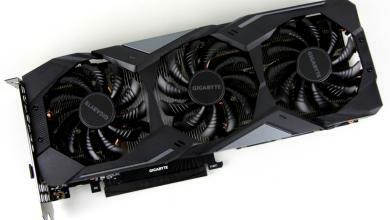 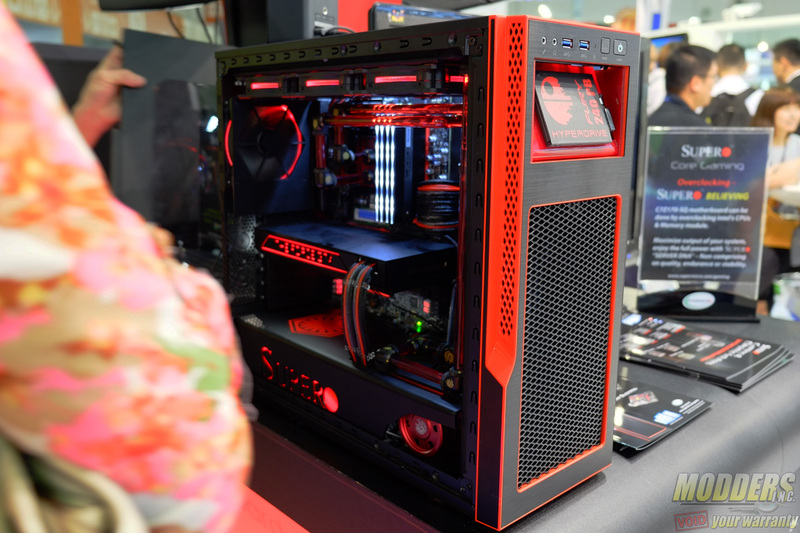 Utilizing their experience with server-grade hardware in delivering competitively spec’ed motherboards, Supermicro adopted quickly on the motherboard side but now they have turned their sights into expanding with other solutions starting with a gaming enclosure. The Supermicro S5 chassis on display at Computex was a Star Wars themed modded case and was the only non-server case on show at their booth. 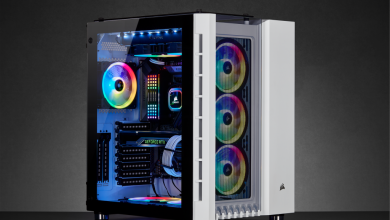 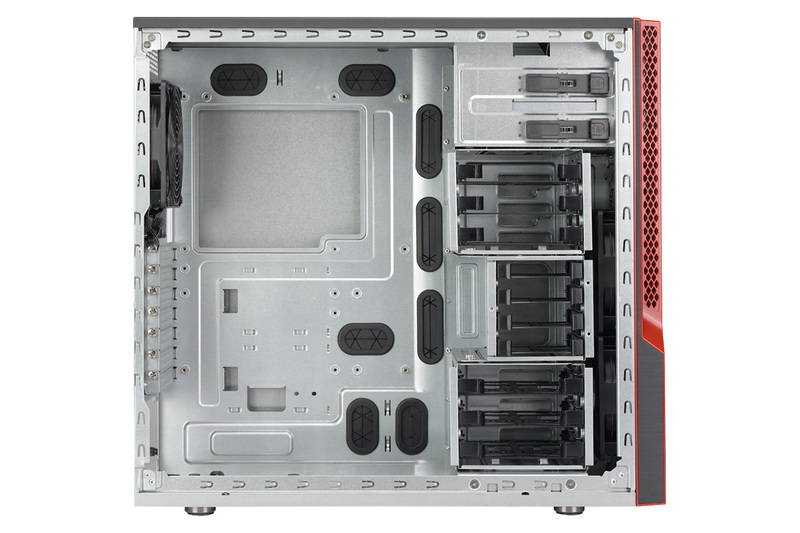 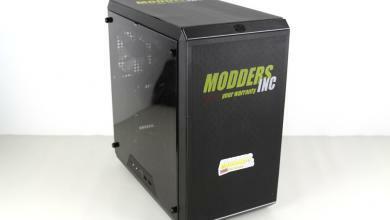 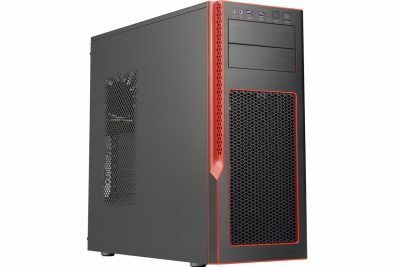 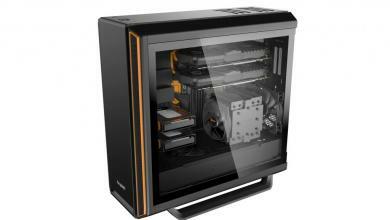 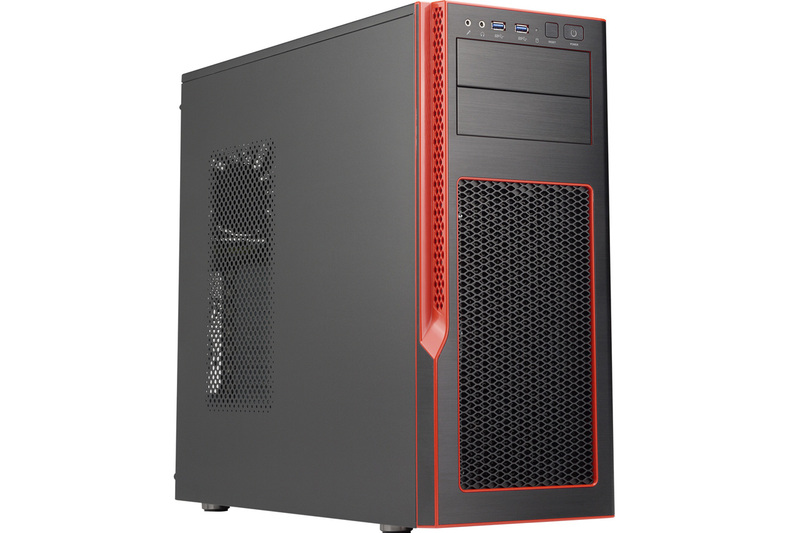 This is not Supermicro’s first attempt at a mid-tower gaming case, offering a gaming version of their SC732G case previously but that was basically just a retrofitted version of their SC732 server midtower case with LEDs and different exterior. The Supermicro S5’s build quality was surprisingly impressive with a brushed aluminum front cover with red trim, reminiscent of AMD’s 6000 series graphics cards. 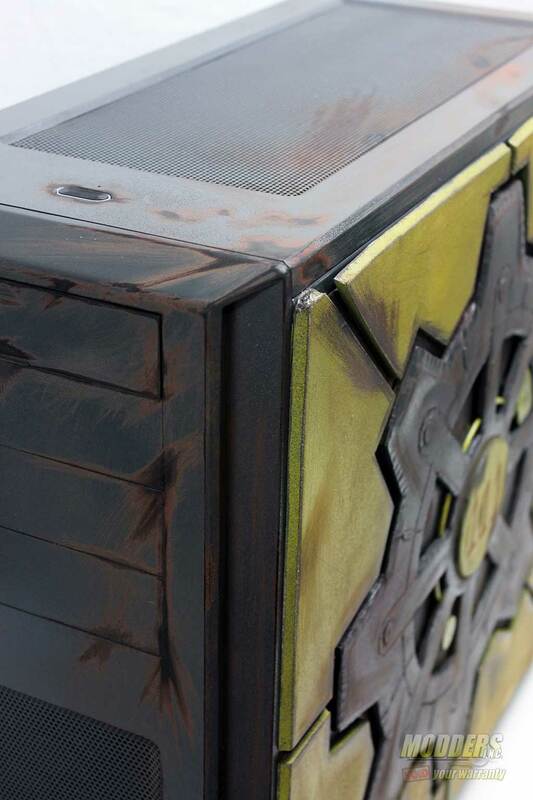 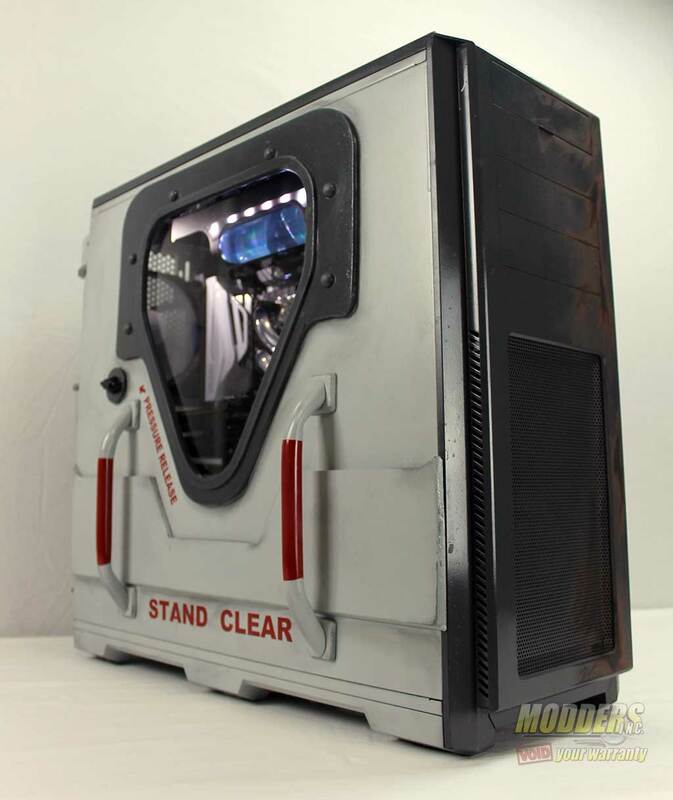 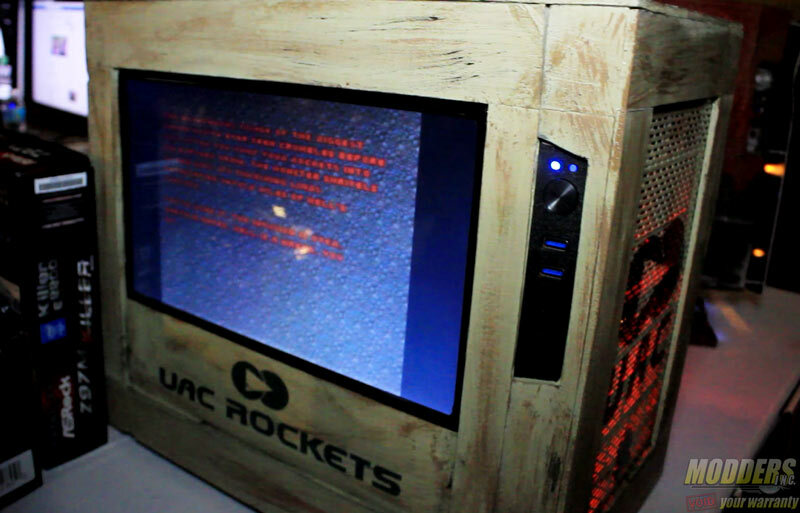 Much of the interior on the Star Wars casemod on display was modded from the original however, housing a 360mm radiator on the top with custom hardline tubing and custom PSU shroud. 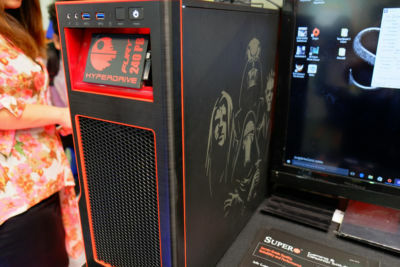 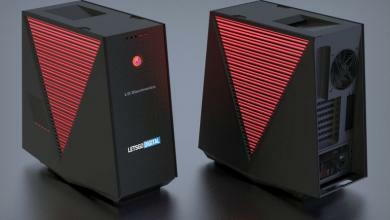 The 5.25″ external drive bays have also been modded to mount an SSD and the right side panel has custom Star Wars graphics.